A tear inside coat lining on seam. Could be sewn. 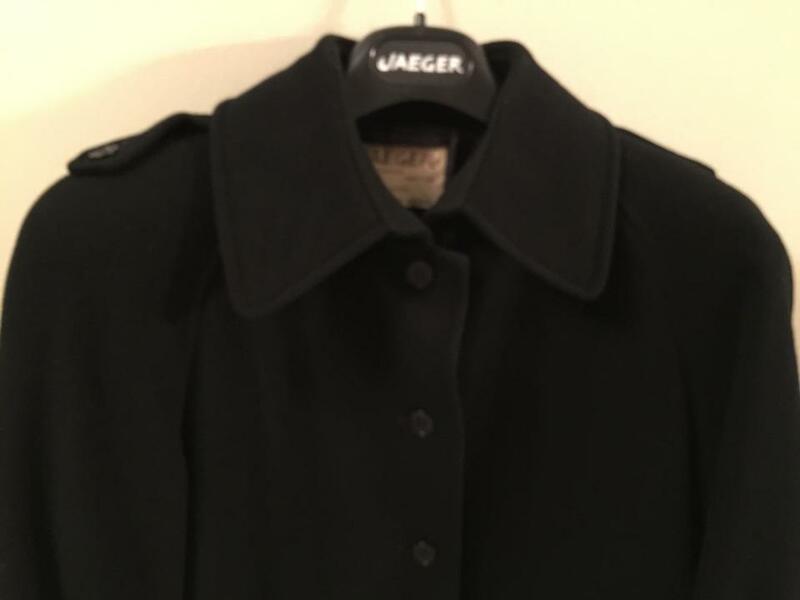 Jaeger 100 % Wool medium weight fall, winter or spring jacket. Sits right below hip. Outside is in great condition. 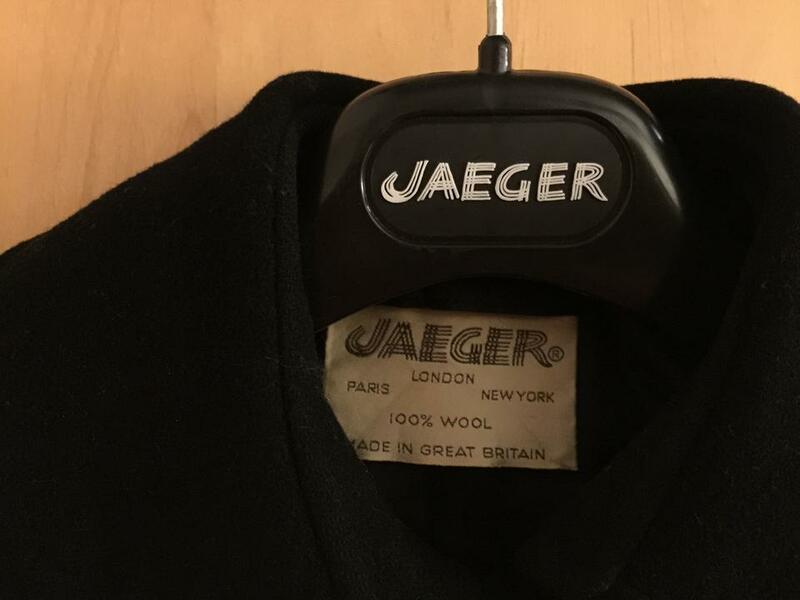 Only a tear inside lining seam. 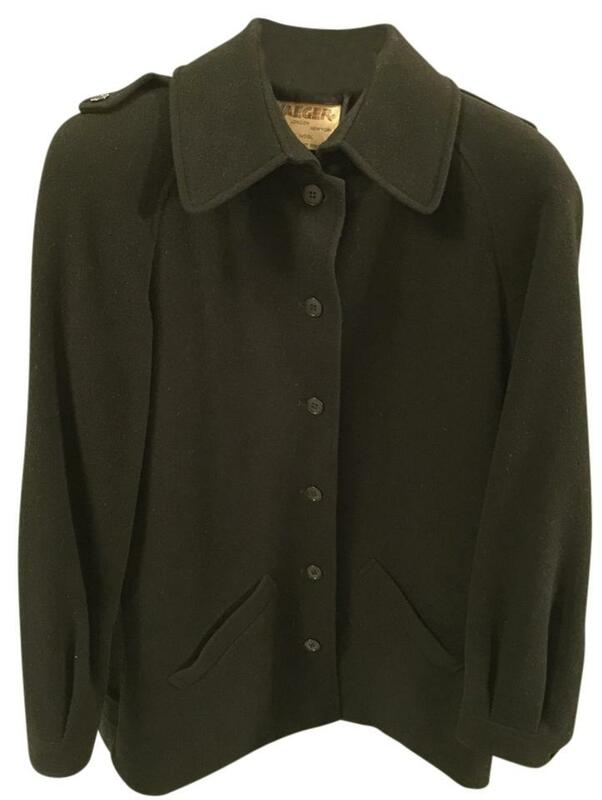 Classic black with buttons on shoulder and cuffs. 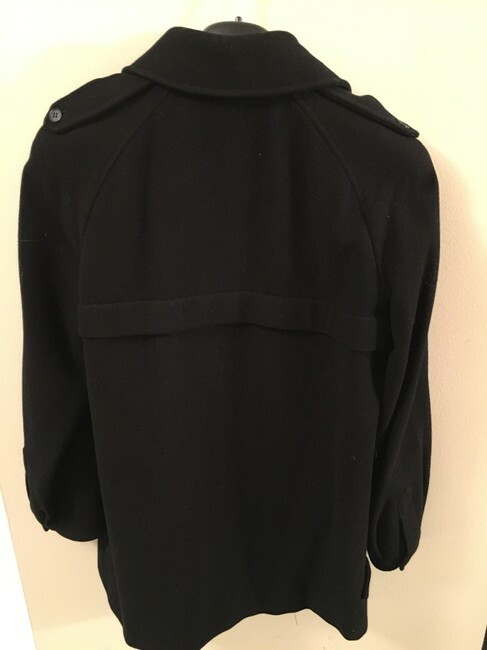 6 front buttons. Size details: Bust 35 inches, Hips 37 inches. Comes from a smoke and pet-free home.